Low carb cereal served hot: the perfect start to a cold day! Stir in chocolate and your favorite nut or seed butter to make an amazing paleo-friendly breakfast. It takes 3 minutes to make, and it fills you up and warms your belly just like oatmeal – but without the gluten or grains! Yes, another variety of hot, grain free and low carb cereal! I thought it was worth it, though, because who doesn’t like chocolate and peanut (or your nut or seed of choice) butter for breakfast. Or, really, any time of day. This version is slightly different than the original because, like yesterday’s variety, one of the add-ins contains more than just flavor. The cocoa powder is absorbent enough to throw off the moisture content of the cereal, so the proportions of the ingredients are a adjusted slightly to make up for it. Sure, you could just add chocolate and peanut/nut/seed butter to the original recipe, but by following the tweaked proportions below, you get maximum nutty (or seedy)-chocolatey flavor, and who doesn’t want that? You may be eating low carb cereal for breakfast, but with this perfect, creamy and filling texture, you’ll swear it was real oatmeal! I promise: this is the last grain free hot cereal recipe for awhile, but I hope you found one (or two or three) that will keep you warm throughout the winter! Low carb cereal served hot: the perfect start to a cold day! 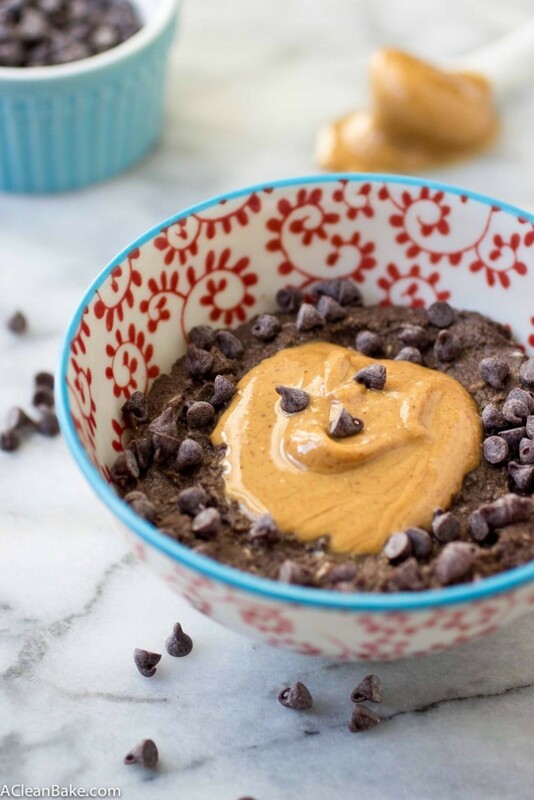 Stir in chocolate and your favorite nut butter to make an amazing paleo-friendly breakfast. It takes 3 minutes to make, and it fills you up and warms your belly just like oatmeal - but without the gluten or grains! In a microwave-safe bowl, mix together the peanut butter and milk. Stir vigorously until smooth. Stir in the salt, sweetener and cocoa powder, and when they are incorporated, add the coconut. Microwave on high for 45-60 seconds. Stir and microwave another 30-60 seconds until it reaches your desired temperature. If it has thickened too much, stir in the remaining 1-2 Tablespoons milk until it thins out to your preferred consistency. Taste, and adjust sweetener if desired. Top with mini chocolate chips, additional peanut/nut/seed butter, etc. if desired and serve immediately. 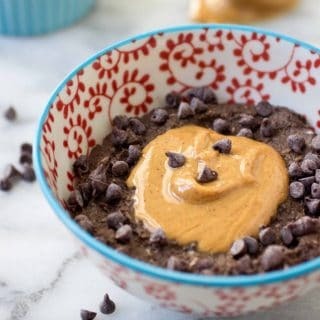 Omit the sweetener and chocolate chips and use unsweetened nut or seed butter to make this Whole30 compliant. They certainly are! Thanks, Medha! Oooh that sounds like a great dessert! I thought the apple cinnamon was da bomb but this chocolate one is just an indulgent breakfast! Loving the Fautmeals hehe, I ran out of eggs the other day and felt lost on what to do for brekky but this will be my new go to if that happens again!